This is a guest post by Michael Clyne. Michael is a risk management consultant specializing in Africa. You can follow him on Twitter at: @mikeclyne. Yet the drivers of piracy are decidedly international. General Waldhauser attributed the re-emergent attacks to the drought parching the Horn of Africa and famine looming over Somalia, just as the war-ravaged nation enters its “lean season.” Before famine, the modus operandi of Somali pirates had been hijackings-for-ransom, with crewmembers held hostage for months – even years – as their captors negotiated lucrative ransoms. However, without the luxury of time, some recent attacks have skipped drawn-out negotiations to loot cargo in a sign of Somalia’s desperation and resource crunch. This is all despite gradual gains in Somali governance and development, with historic February elections inaugurating a new federal government and attracting foreign capital. However, extremist group al-Shabaab still controls most of Somalia’s vast hinterland where it stands to exploit the famine and drive more unemployed youth toward the sea. President Trump has refocused on Somalia, expanding U.S. military authority to strike al-Shabaab, but traditional counterterrorism operations will do little to prevent piracy, whose networks remain generally distinct from al-Shabaab’s, and may even exacerbate the famine and violence piracy thrives in. Another international driver behind Somalia’s piracy is the overfishing and depletion of Somali waters. Last week’s New York Times exposé of China’s outsized impact on seafood resources focused on West Africa, where China's deep-sea vessels now catch most of their fish. But that’s because a global free-for-all already depleted Somalia’s waters, where corrupt governments continue selling off what’s left. Somalis arrested for piracy often say they are actually fishermen forced to enter shipping lanes from depleted coastal waters. 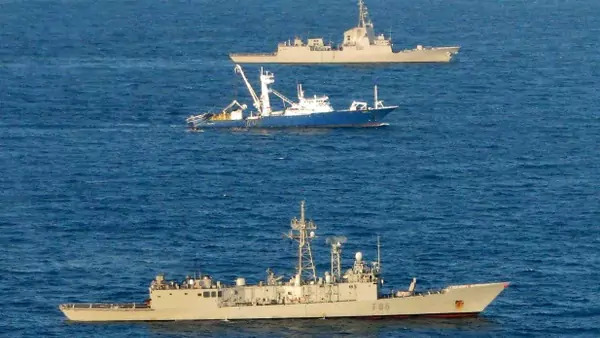 That is rarely true – fishing doesn’t require the AK-47s suspects are caught with – but their excuses do reveal the international dilemma at the heart of piracy. General Waldhauser indicated that he is not ready to conclude that Somali piracy is trending back. But with famine and drought exacerbating its drivers amid a vacuum of deterrence, solutions could be as complex as the problem, requiring a return to international and private measures. The ANC Leadership Table: Who is in the Race?